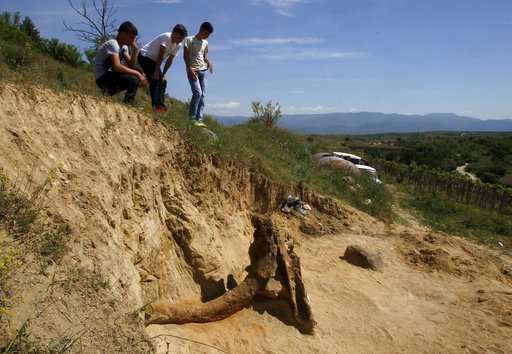 Paleontologists from Bulgaria and Macedonia are excavating the fossilized remains of a prehistoric elephant believed to pre-date the mammoth, after its bones were discovered accidentally by a man working in a field. 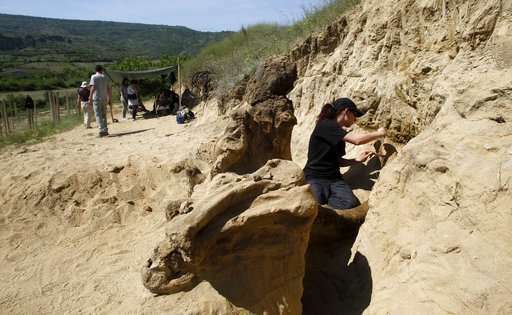 Scientists at the Natural Science Museum of Macedonia and the Natural History Museum of Sofia said Tuesday they began excavating the skeleton in Dolni Disan in central Macedonia last Friday. 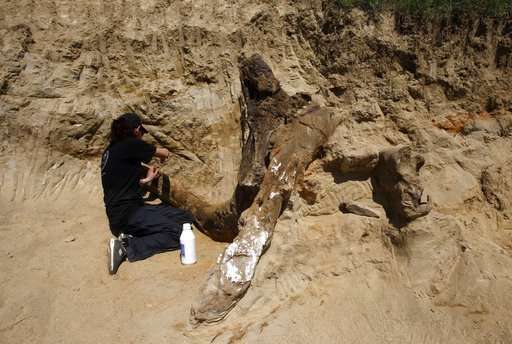 They estimated the animal would have weighed about 10 tons and have been about 50 years old at the time of its death, roughly 8 million years ago during the Miocene epoch. 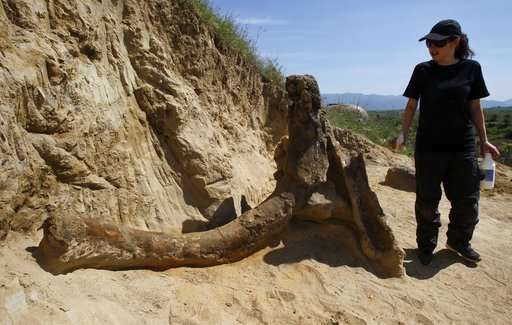 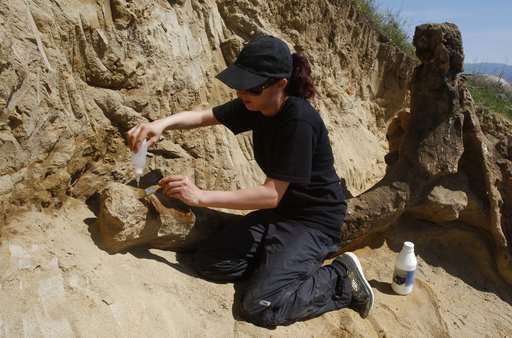 Biljana Garevska of the Natural Science Museum in Skopje said the fossil was of one of the elephant's ancestors which roamed the region at a time when it was covered by African-like savannah.